Dear Readers, here are the remaining contestants for ‘weeds of the year’. Let me know what you think! I might not like fennel very much, but I am a great fan of tomatoes, what with their health-giving lycopenes and all, and so I was delighted to find a couple growing beside a lamp post in Muswell Hill. It appears that they ‘escaped’ from a vegetable delivery van, and were doing very nicely though, knowing the association of dogs and lamp posts, I was not going to harvest any from this particular site. 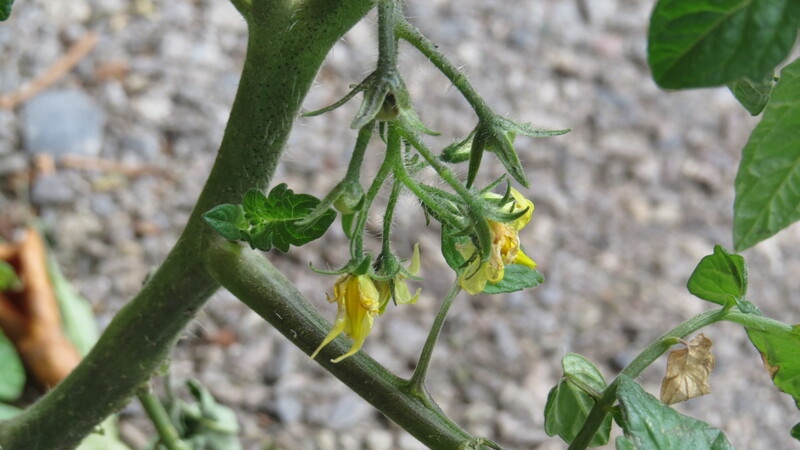 Tomatoes, like all plants in the family, need to be ‘buzz-pollinated’ by bumblebees, and in some countries with no bumblebees of their own, people are paid (a tiny amount) to go to every tomato flower and pollinate it using a special device. I had no idea. And in a piece of most excellent synchronicity, I witnessed buzz-pollination myself only a few days later. 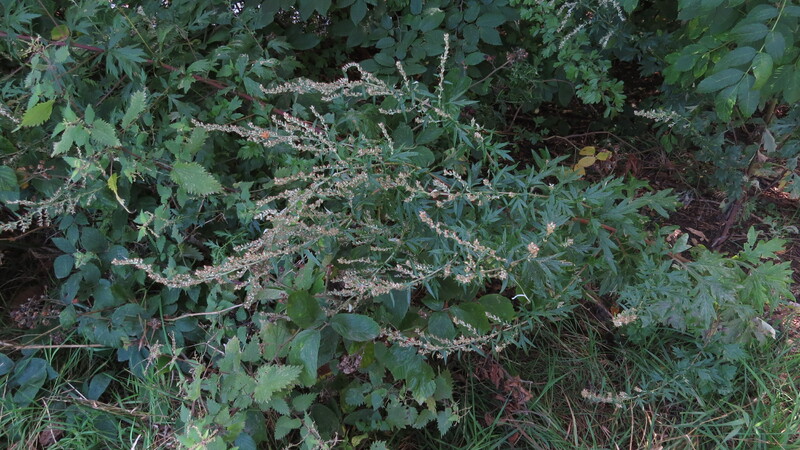 I have chosen mugwort as my September weed because it is such an unassuming plant that it’s very easy to walk right past it and not notice, surely the defining characteristic of a true ‘weed’. Yet, it has a very long association with the people of the UK – it’s been smoked, turned into beer (the ‘mug’ part of the name may refer to the days before glass tankards) and it is said that, if you stuff it into your shoes, it will stop you from tiring on a long journey. It may, of course, give you blisters, but that’s another story. 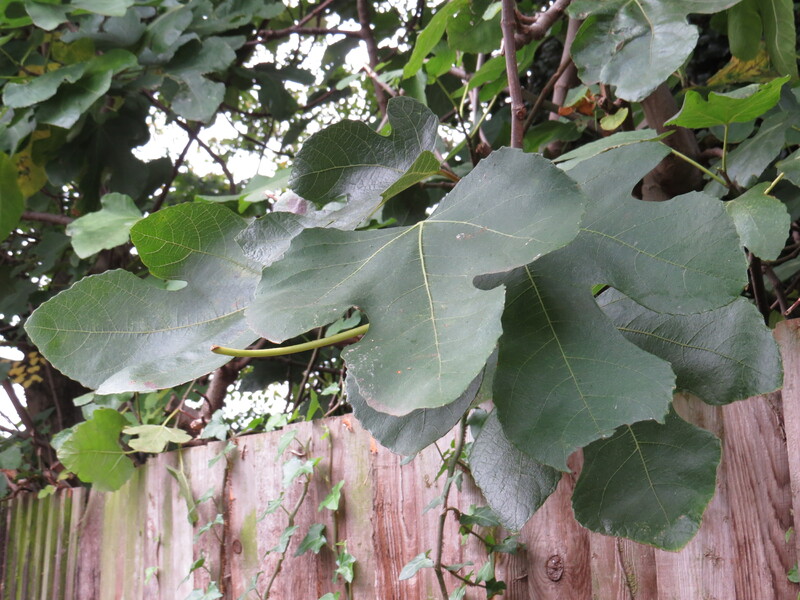 My choice of fig for October is because it gave me the opportunity to talk about the delights of eating the fruit (in spite of the possibility of each succulent morsel bearing a few crunchy wasps). Even more excitingly, I was able to report that, in Victorian times, plaster figleaves were created which could be hung from naked Classical statues in the event of a visit from Queen Victoria and her ladies-in-waiting. Rarely has a factoid made me so delighted. 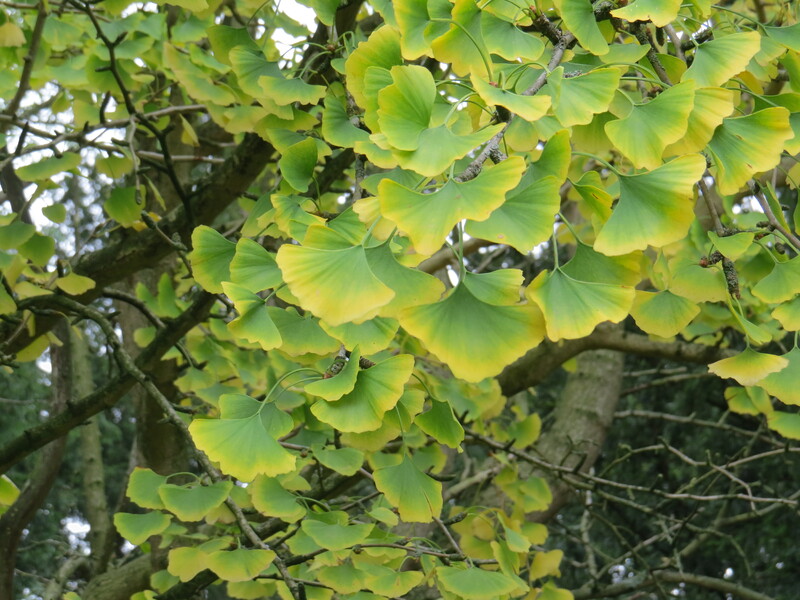 The Gingko is 270 million years old and the very last of its kind.Its leaves are reputed to fall all at once, overnight, leaving the bare tree standing in a golden pool. They survived the bombing of Hiroshima, and there are trees that are over a thousand years old and still producing new shoots. Ok, so the rotten fruit smells of vomit, and the pollen is highly allergenic, but this looks like a very special tree indeed. 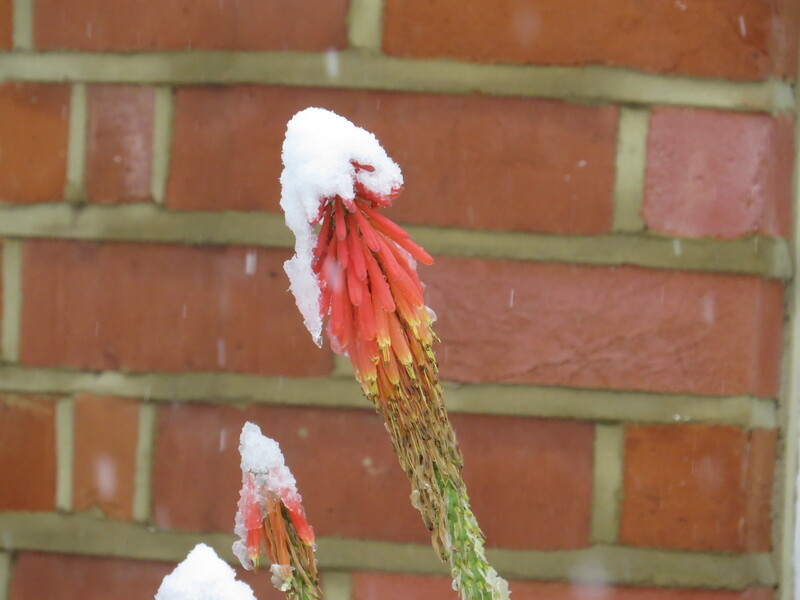 On a grey December day, the orange and yellow flowers of the red-hot poker, or torch lily, were just what I wanted. It brings a touch of African heat to the cold of winter, and I could just imagine a sunbird perched on top, or feeding from the tubular blossoms. I love the way that our native bumblebees have learned to navigate the flowers: they truly are the Einsteins of the insect world (although who knows what other six-legged geniuses are waiting for their chance at an intelligence test? Let’s hope that we haven’t made them extinct before we grow to appreciate them). And so we come to the beginning of this year, and I would like to celebrate the charms of the winter-flowering heather, boon for sleepless bumblebees and the subject of a rather amusing April Fool’s Day joke in The Independent newspaper a few years ago, when the flowers were described as ‘natural Viagra’. I cherish anything that is in flower during these cold, dark days, and this plant really hits the spot. So, dear readers, what do you think? Do you have a ‘Weed of the Year’ from the twelve posted over the past two weeks, or is your favourite plant something completely different? Are there any plants that I’ve never covered that you think deserve a bit of attention? Just let me know. And thank you for all your comments and ideas, and your never-ending support. It makes all the difference. This entry was posted in Uncategorized on February 21, 2018 by Bug Woman. Hi ya, I covered the daisy back in 2015…. Obviously that was before I became a devoted follower. 🙂 It was a very nice post and deserved more than the one Like (now 2 🙂 ). I must have ‘sung’ Daisy, Daisy to my daughter too for her to have learnt the words. I wonder if she’ll remember…? (I’ll have to ask her and let you know). My mum used to sing ‘Daisy, Daisy’ to me when I was little and had an upset stomach. She and Dad really did have a ‘bicycle made for two’ – a tandem that they rode all over the south-east. The song will always bring back sweet memories to me, and I hope it does for your daughter too…..
We love the Foxglove, it’s something about the name Fairy Thimbles and the buzz of the bees as they disappear up the trumpets somehow makes this plant magical…. Hi Fran and Bobby, I do believe that I have never posted about the foxglove. What an oversight! 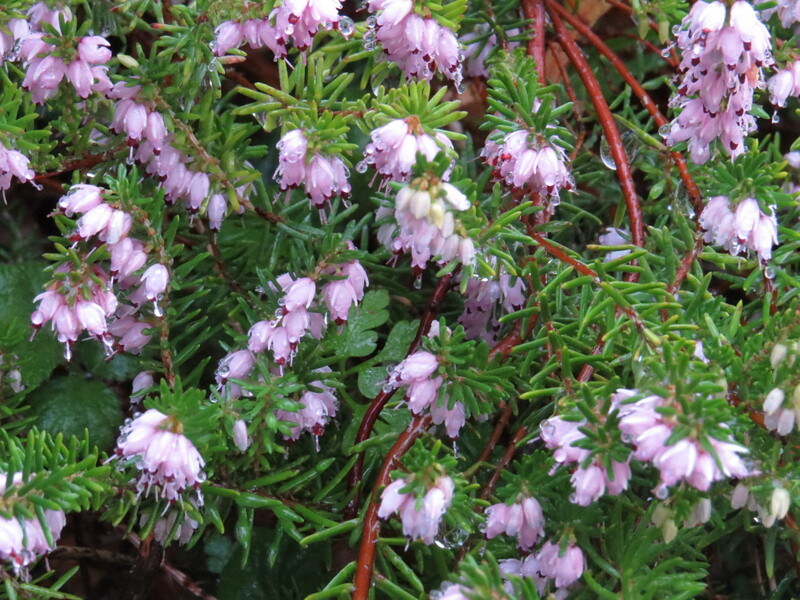 I shall have to remedy the omission as soon as they come into flower…. Volunteer fruit and vegetables always taste sweeter, I think:-) And yes, I love clover too. Fig is the best. Ginkgo is very interesting too, but I really like fig trees. That would be my favorite weed. Figs are fabulous, I know.